Bookmakers are on red alert as they fear for another bashing in this Saturday's Coral Grand National at Ayr, after Tiger Roll's victory on Saturday succumbed them to their worst result in the history of the English equivalent. Leading the chances is the Nicky Henderson-trained Beware The Bear, who looks to have turned over a new leaf this season, with an almighty fast-finishing victory in the Grade Three Ultima Handicap Chase at the Cheltenham Festival. The bear will fly the flag for a trainer who has never won a National on any format, and will need to cope with a 9lb rise from his Cheltenham exploits, which sees him carry top weight of 11st 12lb. Henderson however remains confident on the nine-year-old's chances. (Credit: Racing Post) He said: "Beware The Bear will go to the Scottish National, he has done really well this season. He is in great shape, and the blinkers have helped him a lot. "We ran him a bit differently the other day [in the Ultima] so that he doesn't force the pace quite as much. I think that has made a big difference to him." Vintage Clouds will also be a strong fancy for the 3m7f contest in south-west Scotland, having retained plenty of fuel in the tank after not making it over the first fence in the Randox Health Grand National just a few days ago. Clouds - who has looked smart since returning from wind surgery, and finished second to Beware The Bear at Cheltenham, will look to follow the exact same path that Vicente went down in 2017. Vicente, who is trained by Paul Nicholls and is also owned by Trevor Hemmings, likewise failed to make it over the first at Aintree, before returning two weeks later to land the Scottish showpiece. Despite this only being a week turnover, the nine-year-old will look to better last year's third, on what was one of the closest finishes in Scottish National history, when Joe Farrell was just a nose better than Ballyoptic. Lucinda Russell's Big River currently leads the market, with Alan King's Dingo Dollar and Eider Chase winner Crosspark also being the subject of some good money over recent days. (Credit: Racing Post) Coral's Head of PR Dave Stevens - who is just about recovering from the weekend's events, said: "The Coral Scottish Grand National is consistently in our top four or five when we list races by betting turnover each year. "Incredibly, Nicky Henderson has yet to train a National winner of any description, but in Beware The Bear he has a leading chance to end that hoodoo. "The close proximity in the calendar to Aintree’s big meeting probably gives the Ayr contest a boost in terms of maintaining a 'Grand National' theme with punters. "However, the Scottish National is a huge event in its own right, and while popular across the UK, has a particular place in the hearts of Scottish race fans." 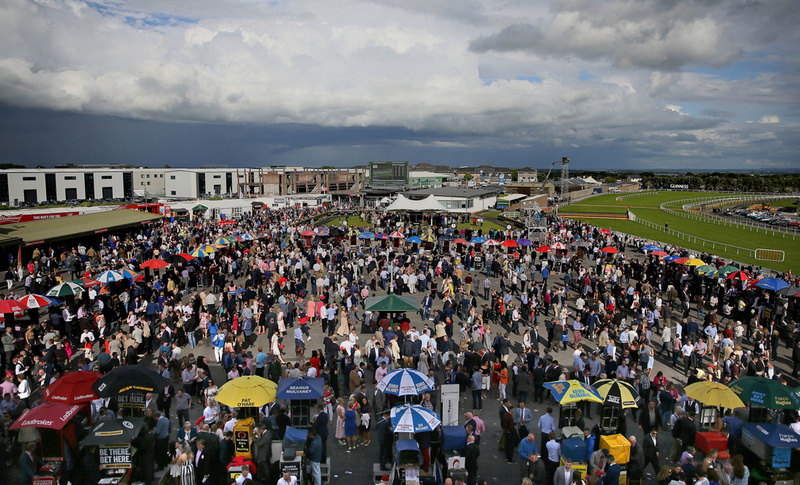 Ayr is expecting a dry week in the build-up to their biggest weekend in the calendar, and the forecast looks set for the current going to remain as good, good to soft in places. Clerk of the Course Graeme Anderson said: "The weather is going to be very dry with no rain forecast until next week. At the moment we are good, good to soft in places and we are watering with 8mm on the whole track. "It will be sunny but not too warm with maximum temperatures of 13C so the water going down is making an effect. We are in control of the situation and hoping to have the ground the same going into Friday," he said.